Dried food products are a familiar sight on the shelves of supermarkets all around the world, and manufacturers are always looking for new packaging techniques to help them secure a healthy portion of the consumer market. Powder packaging is one of the many packaging techniques. Whether it’s soup mix, instant coffee or headache powders, a product’s packaging must meet three major requirements. First, it must be reliable and able to protect the product during shipment and on the retail shelf. Second, it needs to be attractive to the consumer, and should make the product stand apart from the competition. Third, and most important, it must be functional and convenient for the customer to use. 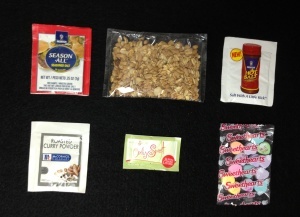 Dry Powder Packaging can take several different forms, largely depending on the type of product involved. For example, dried soup mix can be found on the shelves of every supermarket in the country, and in the homes of millions of consumers. The traditional packaging model has been a blend and fill process, with the completed product deposited into a foil pouch. In many instances, secondary packaging would then complete the process by depositing one or more pouches in box or carton. This packaging model is immediately recognizable to consumers, and fulfills its three major functions admirably. It protects the product, the outer carton allows for effective marketing, and it is convenient and easy to use on the consumer end. This packaging model has been the standard for many years, but new techniques have begun to find favor with specialty food manufacturers who wish to distinguish their products from their traditional counterparts. While the blend and fill process remains the same, manufacturers are now opting for top fill vertical form bags and stick packaging as new ways to give their products a distinctive look on the market shelves. Another familiar product that has undergone a sea change in its packaging and marketing is the powdered drink mix. Whether it’s instant coffee, iced tea or soft drink mix manufacturers are looking to new packaging trends to expand their share of the market. For most powdered drink mixes the standard packaging model has relied on a process of powder filling into a rigid container, usually a bottle, glass jar or metal container. Again, this process fulfills the three major packaging functions by offering protection, convenience and ample marketing opportunities. Many manufacturers of powdered drink mixes are discovering the benefits of single serving marketing strategies. With the modern consumer always on the go, the marketing of powdered drink mixes in easy to use, single serving packages gives manufacturers a new sales arena in which to thrive. With the powder fill process remaining the same, the product is now deposited into single serve stick packaging for convenience and ease of use on the consumer end. Once filled, these single serving packets then go through one of two possible secondary packaging processes. They can be packed in cartons designed to go direct to retail, or they can be assembled in point of purchase displays for individual sale. The POD model is fast becoming a preferred marketing technique for powdered drink products. In addition to providing the necessary protection, it gives manufacturers the opportunity to market their product to on the go consumers in convenience stores and vending machines. Manufacturers of consumer favorites such as instant coffee, dry soups and diet soft drink mixes need to consider their packaging choices carefully. Choosing the right packing model can have a huge impact on the successful marketing of a product. Equally important, is the contract packaging partner engaged to put those packaging decisions into action. Assemblies Unlimited is FDA, SQF and AIB certified, and can provide the state of the art packaging techniques to take your raw product to final fulfillment. AUI offers the experience, reliability and quick turn around that businesses need to give their products pride of place in a competitive market.